President-elect Jimmy Morales will be inaugurated today as Guatemala’s next leader, amid new protests and ongoing uncertainty about how he plans to run the country. Riding a wave of anti-establishment sentiment, Morales—a comedian with no political experience and backed by military hard-liners—achieved an unexpected first-round win in September before defeating former first lady Sandra Torres in the October 25 runoff election. Next week, the Inter-American Commission on Human Rights (IACHR) will hold its 156 period of sessions, including three hearings on October 22 focused on Guatemala: Human Rights and Transitional Justice in Guatemala; Reports of Criminalization of Human Rights Defenders and Justice Operators in Guatemala; and Human Rights Situation of Indigenous Peoples in the Context of the Activities of the Palm Oil Industry of Guatemala. Click here for a full schedule as well as times and locations for each hearing. Panelists from Guatemala and El Salvador will discuss the recent struggles of communities in both countries in defense of their land, water and livelihoods that are threatened by mining. 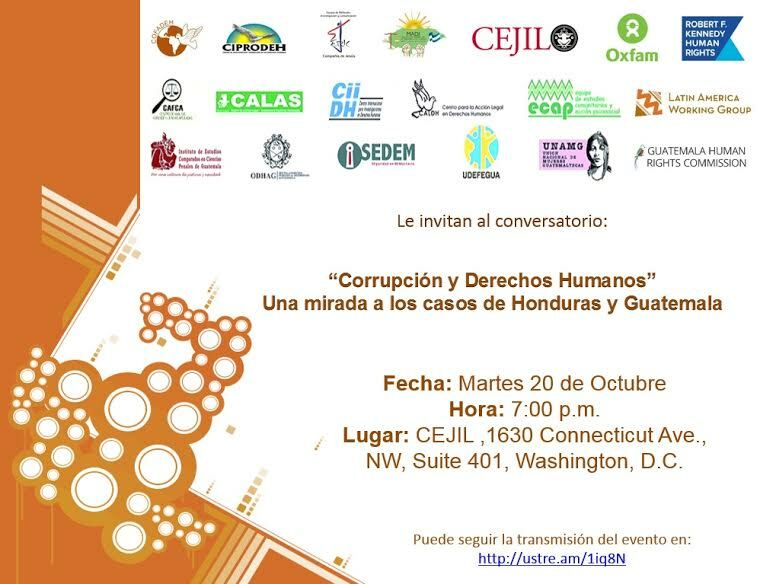 Representatives from civil society organizations from Honduras and Guatemala will discuss the situation of corruption and human rights in both countries. The event will be in Spanish, and a live stream will be available here: http://ustre.am/1iq8N. DC Premiere of a groundbreaking documentary with the filmmaker in attendance about the 2009 coup d’état in Honduras sparking a landless farmers’ movement that took control of the plantations. Cost: $10. More information. As corruption scandals continue to erupt in Honduras—including confirmed evidence that millions were siphoned off from the national health service to fund the ruling party’s and the president’s election fund—Hondurans across the political spectrum are demanding an independent, UN-sponsored Commission on Impunity, like the successful CICIG in Guatemala. An opportunity to meet and honor human rights defenders from Latin America. More information here. RSVP with Perri Ravon at pravon@cejil.org. This movie, made by Guatemalan director Jayro Bustamante, tells the story of a young indigenous woman who does not want to live in the modern world, until it saves her life during a pregnancy complication. Free and open to the public. Viewing party to live stream the NISGUA tour event in New York City. Please join the Tom Lantos Human Rights Commission for a briefing on defending community and indigenous rights in Guatemala, with panelists Daniel Pascual (CUC) and Rafael Maldonado (CALAS). 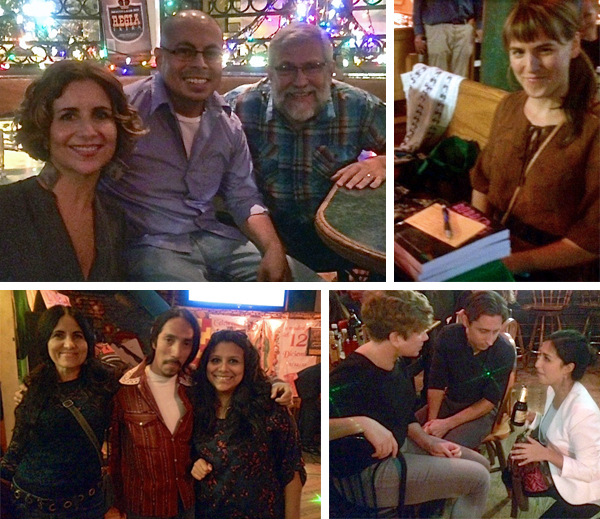 Thank you to everyone who participated in our Hispanic Heritage Month celebration with GHRC on October 7! 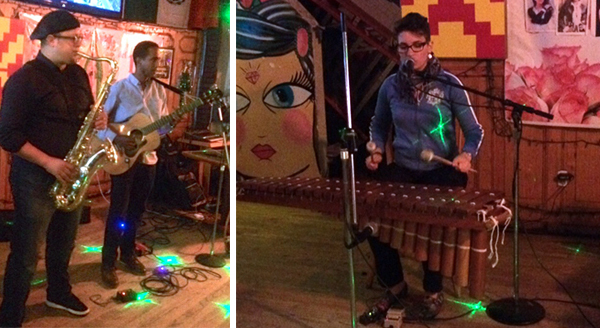 We are especially thankful to Haydee’s Restaurant for hosting and sponsoring our event, to our volunteer musicians Kino and Elena Lacayo, and to the GHRC Board for organizing our fall get together. Your attendance at Haydee’s directly supported our work, as the restaurant has generously donated a portion of sales from the night to GHRC. We also sold tickets for the raffle of an ipad mini — the lucky winner was Rafael Merchan. Thank you to everyone who supported us and bought tickets, and please keep an eye out for other upcoming events, including our 2015 Alice Zachmann Human Rights Defenders Award event. 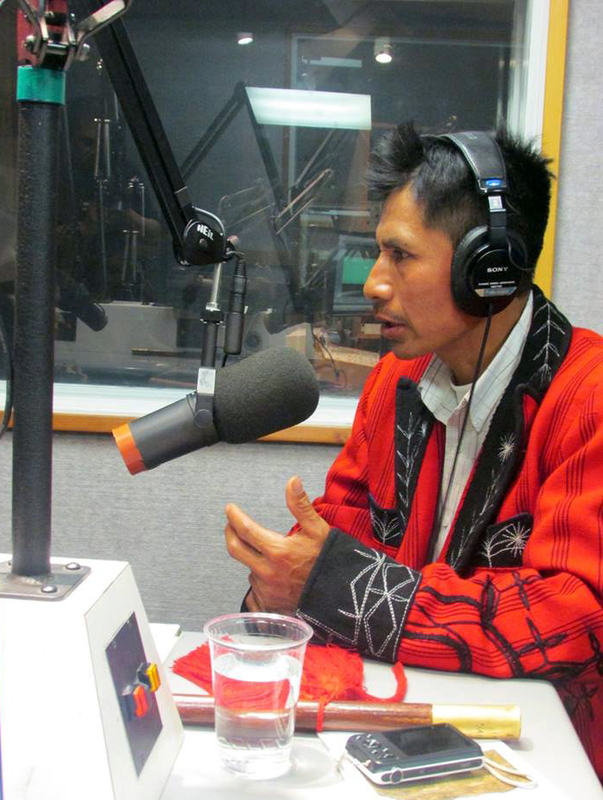 In April 2015, Concepción Santay Gomez was awarded funds from GHRC’s Voiceless Speak Program to support his project to educate university students and others about human rights issues related to the construction of mega-projects in Guatemala. Santay Gomez is heavily involved in human rights work in his hometown of Cotzal, Guatemala, where he has advocated for the rights of the local indigenous Maya Ixil community. He is an active member of the Alcaldía Indígena (the group of ancestral indigenous authorities), which promotes Ixil culture and works to defend the region’s territories from mega-mining and hydroelectric projects. Santay Gomez is also a co-founder of Ixil University, a three-year educational program that teaches students about Ixil ways of knowing and indigenous rights. Following the two-year anniversary of the genocide sentence in Guatemala, experts on transitional justice and rule of law – including US Ambassador-at-Large for War Crimes Issues, Stephen Rapp – gathered on May 11 to share reflections and analysis about the genocide case. “My role With President Obama’s administration is to work with these international courts, including the International Criminal Court (ICC), so that they can be effective – but recognizing always that it’s better when justice happens near the scene of the crime, near where the victims live, near the affected communities. Even in the principles now of international justice, we’ve established that certainly it’s important that we hold responsible — if the evidence is there — the most powerful people in societies. And if it we can do that at the national level, that’s where it should be done. At the ICC they call that complementarity – that the international system is only a complement; it only fills in the gaps where the national system fails.